Australia is one of the most remote countries in the world and, ironically, one of the most popular places to visit, especially among backpackers and budget travelers. Because of its distance from the US, not many Americans tend to visit Australia. The flights are long and expensive, and when you only have a few weeks of travel, wasting a few days flying probably doesn’t make sense to a lot of travelers. One of the most famous reef systems in the world, the Great Barrier Reef is world renowned for its abundance of marine life and world-class diving opportunities. When I was there, I saw turtles, sharks, vibrant coral, and beautiful fish (even a fish pooping, which was as weird as it sounds). It was everything it was cracked up to be. You can spend one day or a few diving this reef. Though everyone leaves from Cairns, leaving from Port Douglas will get you to less crowded dive spots. 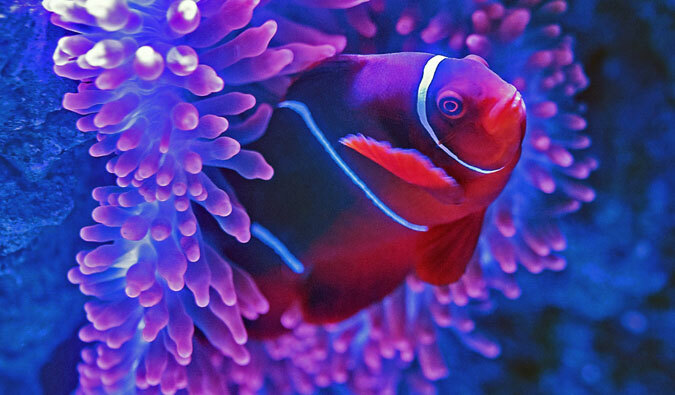 Read more about diving the Great Barrier Reef and how you can do it on your trip! 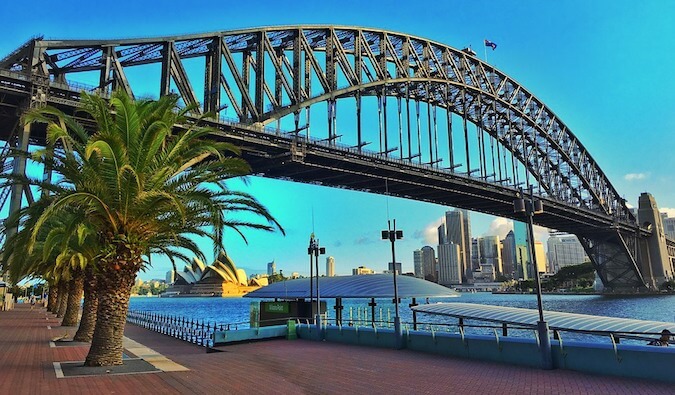 Known for its famed opera house and harbor, Sydney also boasts an incredible bridge, great parks, delicious food, lots of free stuff to do, and amazing surfing. 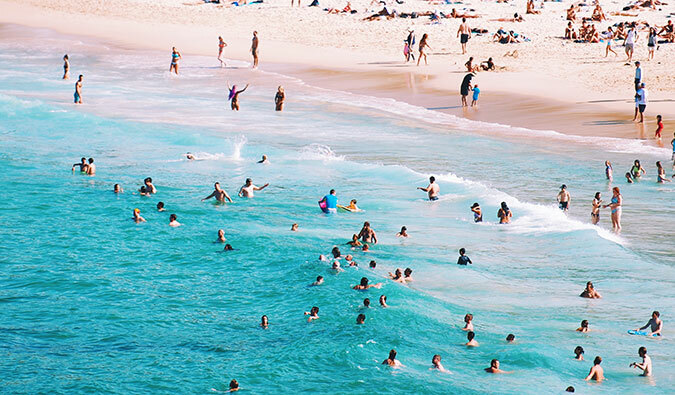 Whether you go to Manly Beach or hang out with everyone else at Bondi, Sydney’s a place to relax in the sun and enjoy the water. Darling Harbor has a number of good restaurants and great entrainment venues, and the Chinese Garden is quite relaxing. For a night out on the town with colorful locals, there’s nothing like King’s Cross. You wouldn’t think that a giant round rock covering eight kilometers of land would be breathtaking, but it is. The wind-blown cuts throughout the rock make it look like a wave of sand climbing over the desert. The iron in the rock produces amazing shades of red and orange during sunrise and sunset. 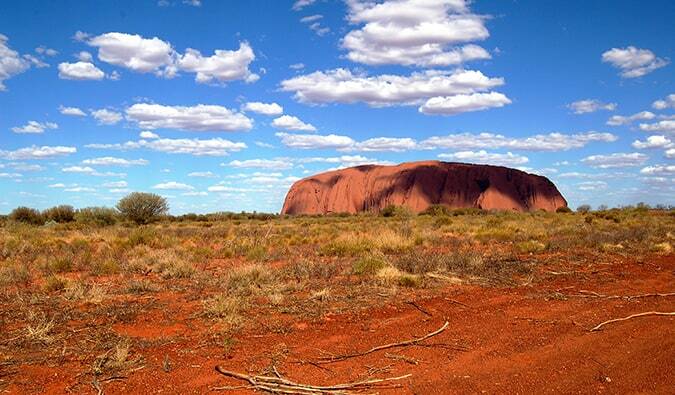 While you can climb Uluru, be forewarned that it is a sacred area to the people of this area. Oddly enough, they allow visitors to scale the rock, even though they don’t like it. You can take tours here from nearby Alice Springs. 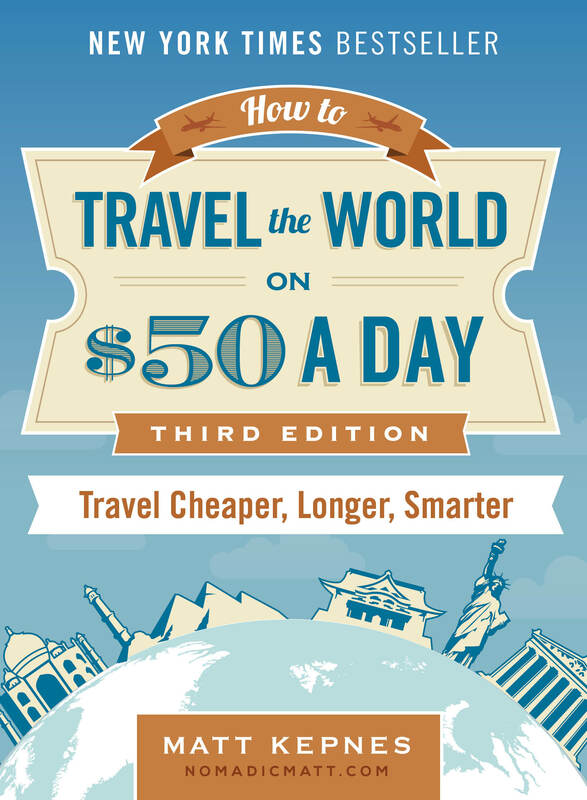 Click here to learn how to do so and plan your trip. Aussies do a lot of things well, and one of the best is throwing a barbecue. The Aussie barbecue is a serious tradition, and most parks and public areas have at least three barbecue pits. In fact, I don’t know what Australia would be without a barbecue. There’s nothing better than a beautiful warm night, a few good beers, and some grilled-up kangaroo to make you love this place. 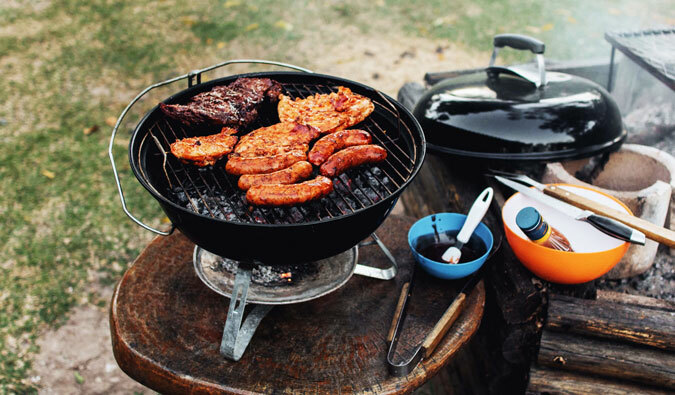 Barbecuing is a great budget friendly option too! Australia has some great wine regions, which include Margaret River near Perth, the Barossa Valley near Adelaide, and the Hunter Valley near Sydney. There’s a lot of good wine to be tried while in Australia, especially shiraz and pinot noir. You can take day trips to any of the wine areas from the nearby major cities or simply take a trip to the wine store and get drunk in the park…while having a barbecue. This is my favorite part of Australia. It’s truly beautiful, with its large expanses of outback and white sand beaches that stretch for miles without a soul in sight. I’m glad a lot of people don’t visit Western Australia; otherwise, it could end up like the East Coast — crowded and overbuilt. 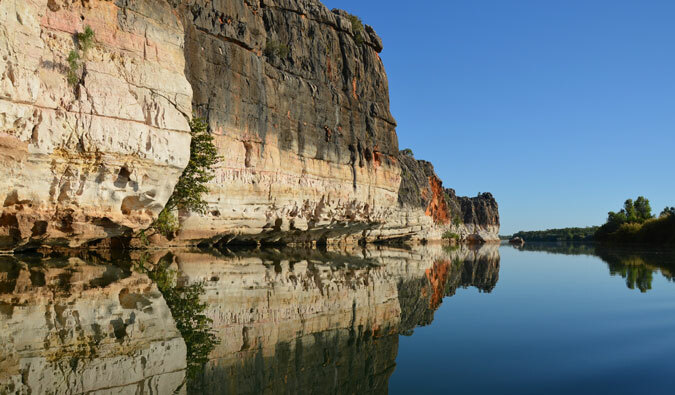 Karijini National Park puts Kakadu and Litchfield to shame, and Coral Bay and the Ningaloo Reef are even better than Cairns or the Great Barrier Reef. I love it here. For a funn story, read about the time I got stuck in the outback while in WA! Sydney and Melbourne get all the attention, but Perth can hold its own against these two heavyweights. 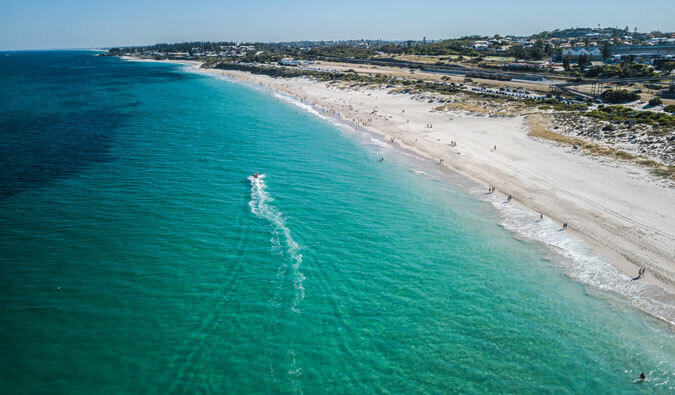 There are great beaches, one of the world’s largest city parks, surfing, and nearby Fremantle, where you can have Australia’s best beer (Little Creatures). Perth is a city filled with young people and has the vibe of a city in motion that’s just coming into its own. Don’t forget Sunday drinking sessions at the famous Cottesloe Hotel. Read more about traveling in Perth, check out my destination guide to the city. One day I’ll settle down, and when I do, it’ll be in some lush, tropical place. Maybe Queensland will be that place. Here you’ll find one of the oldest continuous tropical rainforests in the world (it dates back to the age of the dinosaurs!). There are great places to go hiking, tons of wildlife and birds (watch out for crocodiles, though), and some really nice rivers and swimming holes to cool off in. If you really want to get away from it all, head far north to Cape Tribulation, where it’s just you, the jungle, and some ocean. 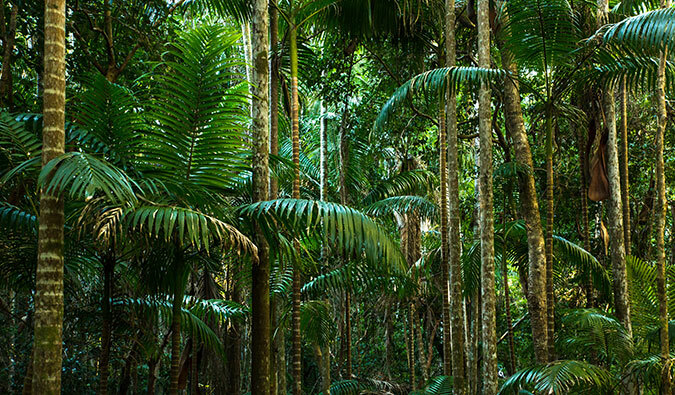 For the best jungle trips, head up to visit Cairns, the gateway to the oldest forest in the world! Australia may not have invented surfing, but it might as well have, given how ingrained it is in Australian culture. The best surfing is on the East Coast, and there are a million places where you can catch a good wave. You can head to Sydney and places like Bondi Beach, but I find the best surfing is up in Queensland. I personally think Noosa is one of the best places to surf because there are waves for both professionals and beginners. 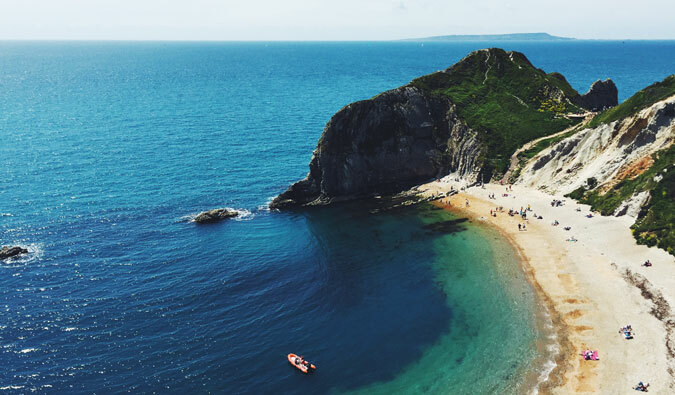 With over 50,000km of coastline, there’s no way this country could exist without beautiful beaches. The ones on the East Coast are far busier than the deserted beaches on Australia’s western coastline. But with so much to choose from, you’ll always find a spot to relax by yourself. My favorites include Coral Bay, Cable Beach, Noosa, Manly, and any beach in Perth. Read more about my beach paradise Coral Bay and see what Australia’s beaches are like with no one around! Australia has way more to offer than just these 10 things. I could probably think of 365 reasons to visit Australia (Vegemite not being one of them! Sorry.). But we get drawn to countries for certain reasons, and these are what draw me back again and again to the wonderful land down under. Let these things pull you there too and use the articles listed below to help you plan your next big trip! Find a cheap flight by using Skyscanner or Momondo. They are my two favorite search engines, because they search websites and airlines around the globe, so you always know no stone is being left unturned. You can book your hostel with Hostelworld. 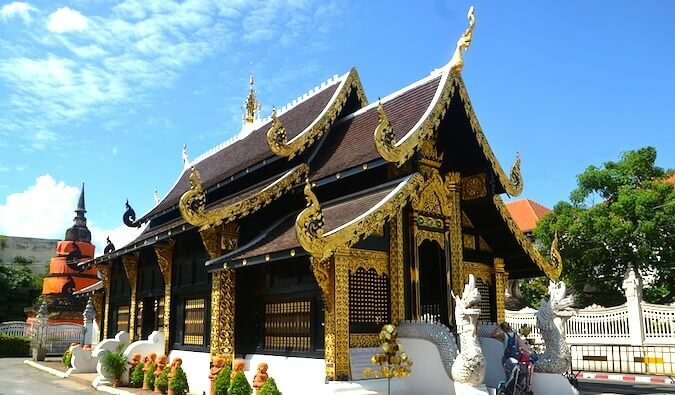 If you want to stay somewhere other than a hostel, use Booking.com as it consistently returns the cheapest rates for guesthouses and cheap hotels. I use it all the time. It’s my favorite website! Here are my favorite hostels in Australia! Check out my resource page for the best companies to use when you travel! I list all the ones I use — and I think they will help you too! Looking for more information on visiting Australia? 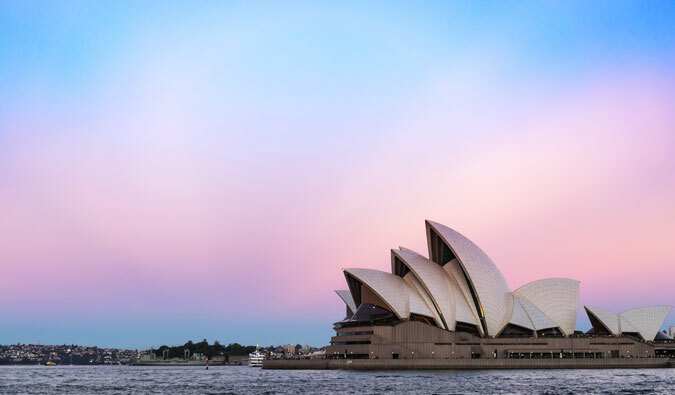 Check out my in-depth destination guide to Australia with more tips on what to see and do, costs, ways to save, and much, much more! Good article Matt -just how long does it take to get there from the USA? – it takes us about 24 hours fom the UK, but I guess we have strong links with the country. I like flying so isn’t a problem for me (unless ther is turbulence then that is a differnt matter!). Completly agree with you about it all. Uluru blows you away along with the rest of the great rock formations in middle Australia. Western Australia MUST be explored don’t just follow the crowds to the East. Have to say though after a week of dving on the barrier reef, I found the diving better in Malaysia and Indonesia…That said it is also a place that draws me back – only twice so far but would quite happily go back again and again. You could easily spend a life time enjoying the outdoors. I could have made a list of 100 reasons to visit Australia. It’s a great place. From LA to Sydney, it’s 15 hours. I used to go to school in Adelaide, South Australia. I can sooo totally understand why it didn’t make it on this list, lol. 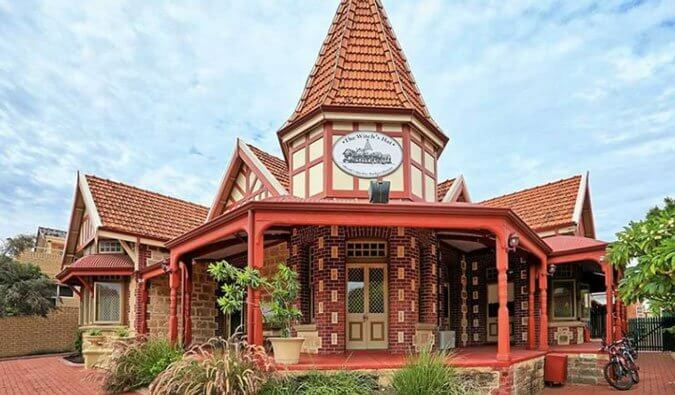 The Barossa’s near Adelaide, not Melbourne, and Adelaide’s definitely worth a visit even if you’re not interested in drinking wine. I’m definitely gonna travel to Australia one day! And there’s one more reason for me to go there: a free accommodation at a friend’s place in Melbourne! But the Western Australia seems very interesting. What about the hostels over there, Matt? and which part of Australia that has the best (meaning lush and still hike-able and livable) jungles? I totally agree with you. I think Australia is a great place! I’ve yet to meet an American who likes vegemite! Why ruin a perfectly good piece of bread? I agree: I could come up with 500 reasons to visit Australia. Top three country, for sure! I have family in Perth, I’ve always wanted to go! We are heading out to Aus next year at the end of a long backpacking trip. We haven’t really had much time to pan what we will do out there yet but this gives me some good ideas thanks! This is the reason why I am happy to call Australia home. Having travelled around the world I still get goose bumps flying in over Sydney harbour. We are indeed a ‘lucky country’. i would love to visit australia again..
Tasmania should top the list! Adventure sports, history, unique wildlife, stunning scenery, and its off the primary tourist routes. Can’t wait to return! For me any list of reasons to go would have to include the wildlife. Feeding what we later discovered was a wild Wallaby at a zoo in Cairnes stands out for me. for all of these reasons – plus that we have friends there – i can’t wait to go! Visiting Australia was by far one of the best things I have ever done in my life. Saving up now to return with the work visa, available to Americans if you are 30 or younger. Another reason to visit. WA is also my favorite spot, swimming with whale sharks in Ningaloo, visiting the dolphins at Monkey Mia and getting to know the local Aboriginals. Great site, I wish more Americans thought the way we did, I find myself arguing with them all the time about my life style. Its all work work work and no play. If Americans took the time to get out of the US and see the world they may think different. Its funny because all of my international friends understand. Can you imagine their faces here, when I told them I would be couch surfing for half a year, my uncle told me to take a gun! Australia all the way though, oh and remember to visit New Zealand as well, just as good! #11 – New Zealand is only a two hour flight from Sydney. Your list is great. I put Australia as one of the possible places that i will visit next year. I will try to climb sacred Uluru and hope nothing bad happens to me. I’ll have to taste that Australian barbecue. I think its delicious. But swimming with whale sharks, no way! I would like to visit western Australia and see with my own eyes the beauty that you talk about. Port Douglas could possibly be one of my favorite places I’ve ever visited. My wife and i spent 4 days there in June last year. We didn’t want to leave. Glad you included Perth. It’s a great city and not just because i live here lol. I’ve been 3 times already! Amazing country. I’ve been living in Melbourne for 5 months, and have no intensions to go back to the UK. I’m head over heals in love with the city & country. For those visiting Victoria I would totally recommend driving the Great Ocean Road. It’s a fun drive for those who love driving (don’t get an automatic car, as thats not real driving, haha) the Tweleve Apostels at sun set is stunning. 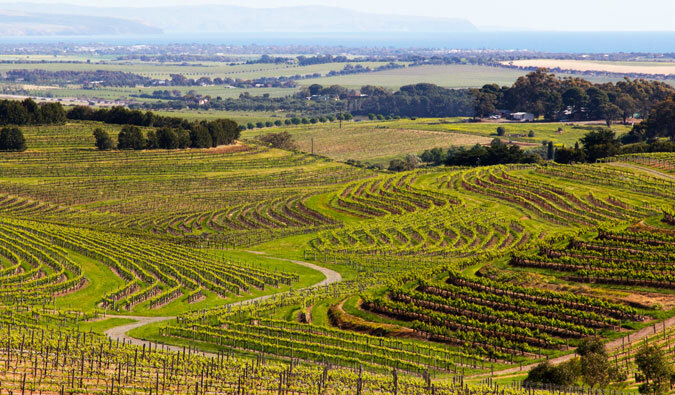 Barossa Valley….near Melbourne!?!? Try Adelaide! It’s in South Australia and absolutely NOWHERE NEAR MELBOURNE! South Australia….the one free-settled state in the country, also the home of one of the world’s biggest Fringe festivals, pretty much only second to Edinburgh’s (which I now call home) the Clipsal 500 V8 race, the best wineries in the country, the magnificent Flinder’s Ranges and the TRUE outback, the Limestone Coast, Fleurieu Peninsula, water skiing on the great Murray River, pristine beaches with an amazing cafe culture, Kangaroo Island, The Tour Down Under, WOMAD, Schützenfest beer festival, the classic Bay to Birdwood, SALA festival, Writers’ week, Foodies events enough to make you have to roll down the street, the Central Markets for the freshest produce from around the world. Need I go on? But as they say, there’s just NOTHING to do in Adelaide! Pah-check out a few websites for ideas on the plethora of things there are to see and do there. I lived there for all of my youth and still only managed a handful of the great things there are to do. It took me until now, in my early 30s to really appreciate the casual pace of the town. I see you’ve acquired a few “knockers” but that’s standard for Aussies! Bit disappointed you didn’t have Barossa Valley in the right state as some of my ancestors started the place, well Hahndorf anyway! When are you going Outback….or can’t you ride a horse and do a bit of jackarooing? Time you packed a swag, grabbed a billy and cooked damper over the coals of a fire after a day’s droving. I’d like to hear your view of it though you’d probably need to edit the language (of others) out, lol. Robyn, Hahndorf isn’t anywhere near the Barossa, one is North of Adelaide, the other is East!! Yep. definitely more than 10 reasons;-) How about experiencing life in the most livable city on Earth for a few days (Melbourne! )… And although the Rainforest is amazing and has to be listed, I just cannot deal with those brown snakes!! I am heading out there in a few months to travel with a friend, and then teach a ski season in Falls Creek (near Melbourne). Being only 19, do you think I would be too young to travel by myself for the initial few weeks, or are there lots of travellers the same age? Glad you included Perth! It has many reasons to be here, not only the ones mentioned but also Rottnest Island, Pinnacles, perfect climate, sunshine, etc. Amazing blog and Bookmarked this! I move to Aus on the work holiday visa. I was thinking about living in Sydney, I think you know, both Melbourne and Sydney are on the top 10 list of most expensive cities in the world. But the location is really amazing. No mention of the Great Ocean Road! That’s the highlight of everyone’s visit to Australia. I’m definitely gonna travel to Australia one day! Thank so much. If you’re going to mention the Maori culture of NZ, then surely the Aboriginal art, music and petroglyphs of Australia must also be worth a mention? If you’re updating this guide at any stage it might also be worth pointing out that those wanting to dive or snorkel on the Great Barrier Reef should do it very soon-as the reef is being killed off quite quickly now with coral bleaching caused by global warming. It’s true, Australia seems SO far away from the U.S., but if you’re going to make that trip, why not stay a while? I went for just a week (combined with a NZ visit) with my family a long time ago, but that wasn’t nearly enough. I only snorkeled the Great Barrier Reef, but I think it must be better to dive there. I can’t wait to go back and check out the other places you mention here! Thanks for always inspiring! This really makes me want to visit Australia. I really want to try diving there but it is so expensive. Australia! It’s one amazing country. Melbourne is also one of the reasons to visit Australia. It’s expensive, but worth every penny. I think to visit Australia no reason is required.When it comes to a trip Australia is always been my first priority.Besides that the reasons above are so convincing. Grilled up kangaroo? Now there’s a reason to visit Australia. It’s been on my bucket list for awhile now. Really need to make it a priority to visit soon. Great info Matt, thanks for sharing. There’s so much diversity in Australia as you go from North to South. No one will leave Aussie disappointed that’s for sure! Awwwww, nobody ever ever mentions Canberra, my Aussie hometown. It’s a more hip place than it used to be, and has a thriving coffee culture, but the best thing about Canberra for me (apart from family of course) is the wildlife. Canberra is full if nature parks and if you want to see wildlife in its natural habitat go hang out in Canberra’s nature parks, and even in its more formal gardens (of which there are many). In Canberra you’ll easily see kangaroos and wallabies and a huge abundance of native parrots of every colour – lorikeets, cockatoos, king parrots, crimson rosellas, eastern rosellas, galas, and on and on. I’ve also seen plenty of water dragons in the Botanic Gardens, an echidna, pelicans, lizards and goannas, black swans, and out at Tidbinbilla Nature Reserve the rare brolga. If you want to see the wildlife and can’t get to the bush go to Canberra!